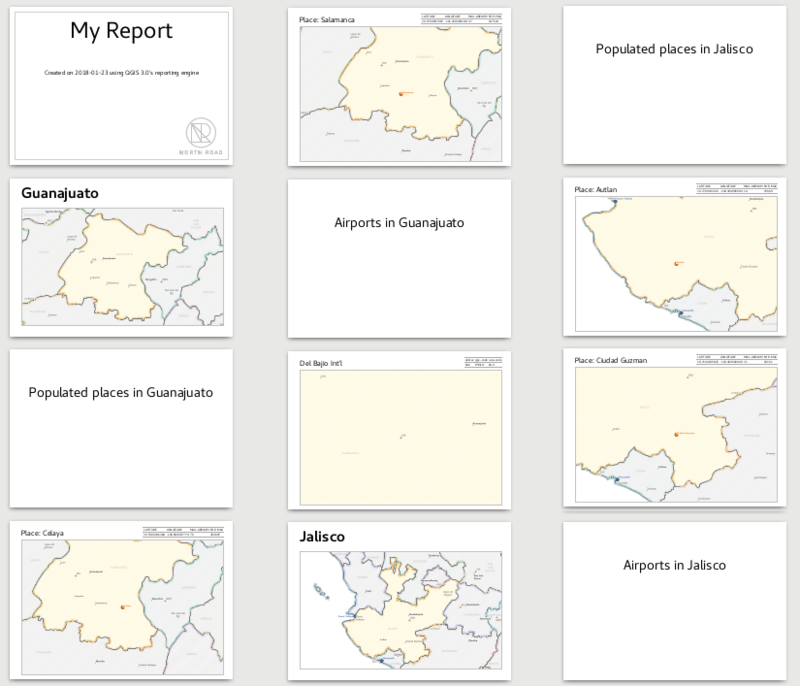 Exploring Reports in QGIS 3.0 – the Ultimate Guide! 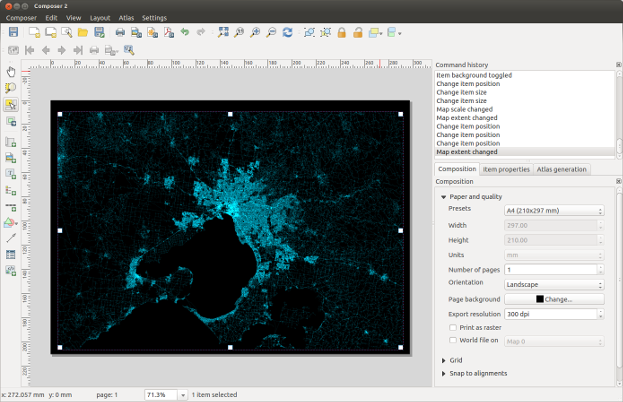 In 2017 North Road ran a crowd funding campaign for extending QGIS’ Print Composer and adding a brand new reporting framework to QGIS. Thanks to numerous generous backers, this campaign was a success. 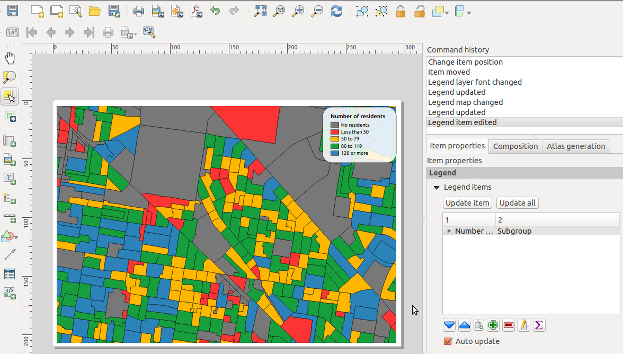 With the final QGIS 3.0 release just around the corner, we thought this was a great time to explore the new reporting engine and what it offers. We’ll start with a relatively simple project, containing some administrative boundaries, populated places, ports and airports. 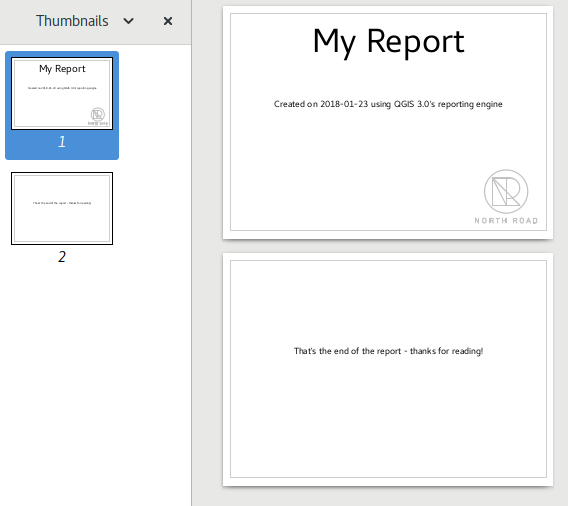 We’ll also create a simple footer for the report, by checking the “Include report footer” option and hitting “Edit“. Let’s make things more interesting. 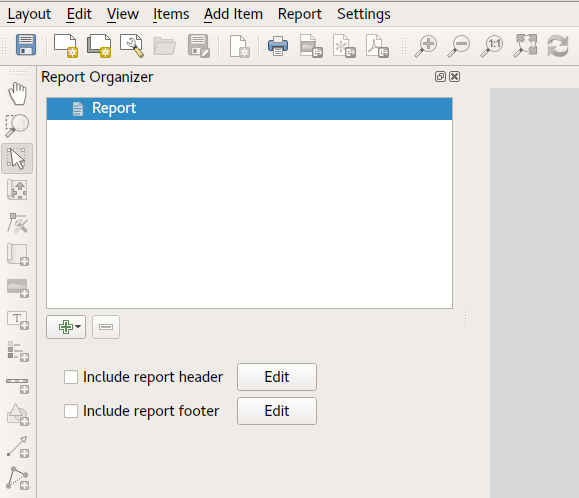 By hitting the green “+” button in the Report Organizer, we’re given a choice of new sections to add to our report. Similarly, a footer for the Populated Places group would be inserted after the final place for each state is included. 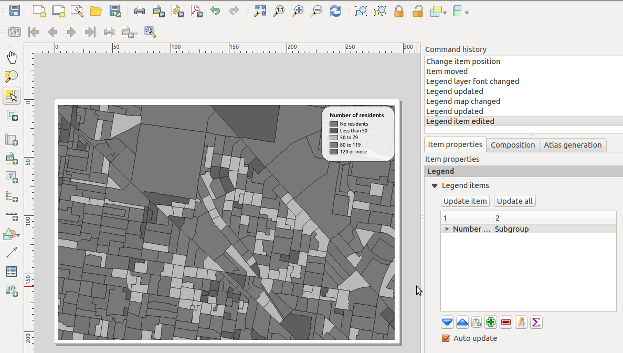 As you can start to imagine, reports in QGIS are extremely powerful and flexible! We’re extremely thankful for all the backers of our crowd funding campaign, without whom this work would not have been possible. 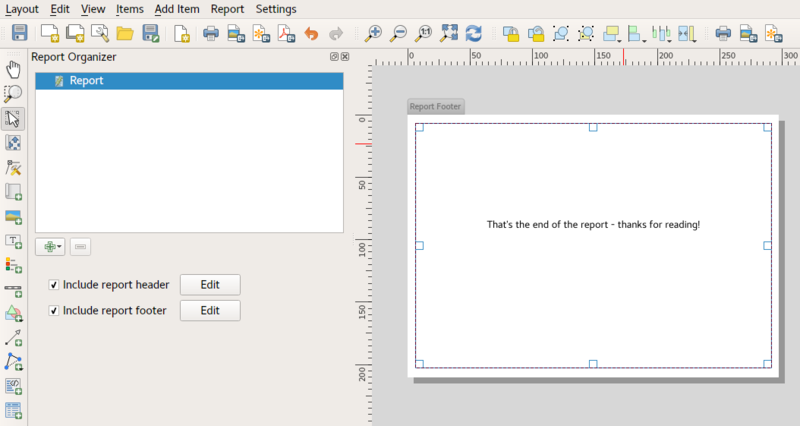 Stay tuned for more reporting and layouts work we have planned for QGIS 3.2! 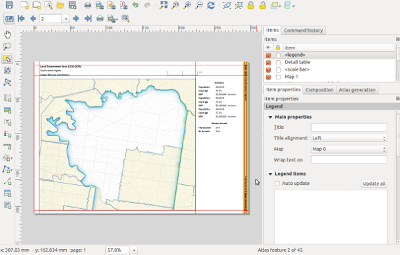 QGIS Composer Rewrite and Layout Engine crowdfund launched! At North Road we believe that crowdfunding is a sustainable way to maintain and enhance open source software, like the QGIS open source GIS package. We’ve run a number of successful crowdfunding campaigns in the past, including support in QGIS for live layer effects, a point cluster renderer, and a unique value renderer for raster layers. Now, we’re proud to announce our latest crowd funding endeavour, and our biggest to date, the QGIS Layout and Reporting Engine Campaign. 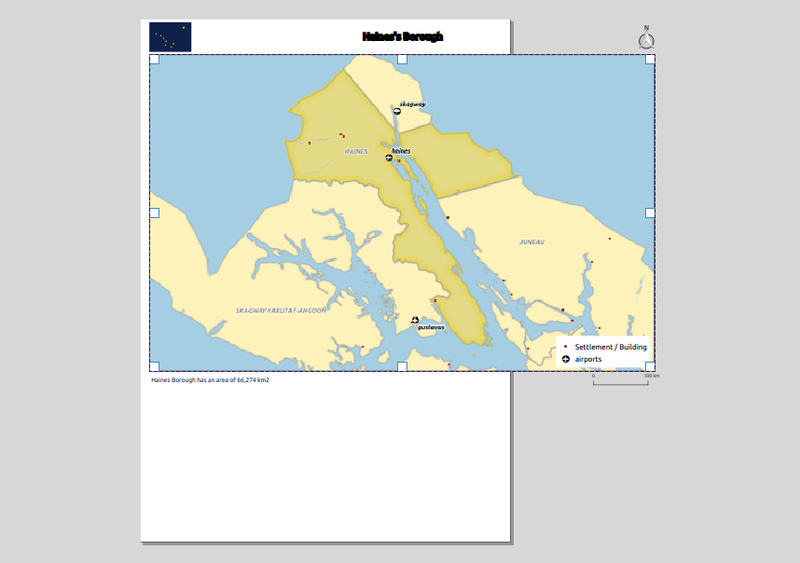 This campaign covers stage 1 of a large, ongoing project to modernise and expand on QGIS’ print composer and layout facilities. Over time QGIS’ composer functionality has grown extensively and now is capable of creating flexible, high quality cartographic outputs. However, we’ve now hit a limit where the current code architecture is prohibiting further improvements and important fixes. 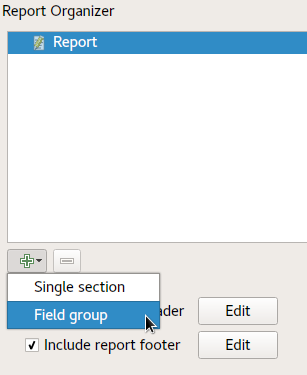 In order to add a reporting framework to QGIS, it is necessary for us to refactor and improve large sections of the composer code. Layouts will become unit aware, allowing for item placement and properties using millimetres, inches, pixels, centimetres, points, etc. 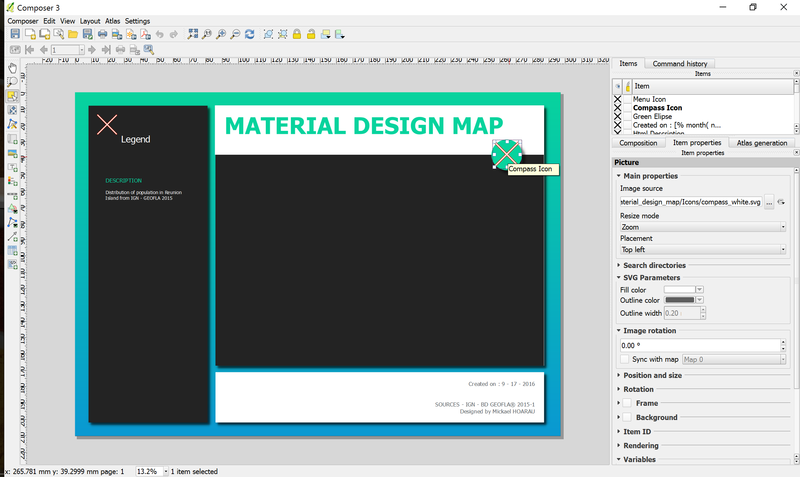 Layouts will have the ability to include mixed page sizes and orientations. Plugins will be able to create custom composer item types (eg allow utilisation of 3rd party graphing and visualisation libraries!). 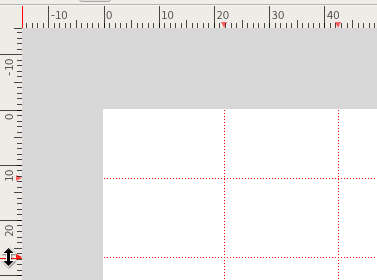 Individual layout items can be rasterised without affecting the rest of the layout. For instance, a map which requires rasterisation due to its use of blend modes will not require all other layout items (such as headings, legends, etc) to be rasterised. 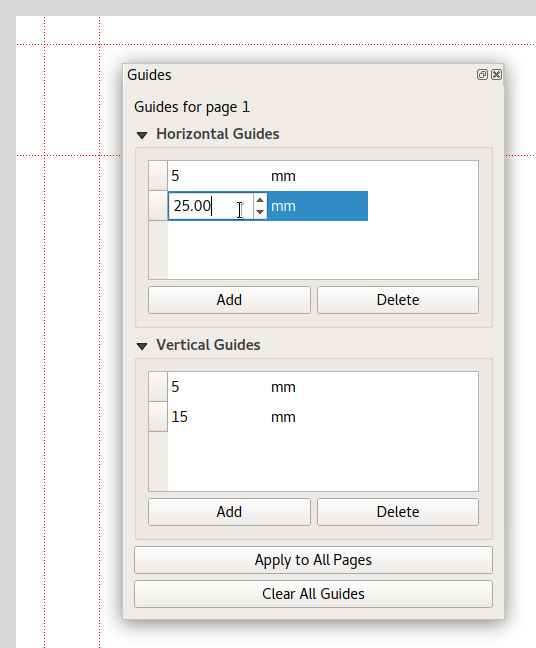 This will greatly benefit PDF outputs for complex map layouts. The code refresh will allow more extensive use of data defined layout item properties. A render caching system will be implemented for items, speeding up use of the layout designer and also paving the way for use of live paint effects on layout items (eg dynamic drop shadows). 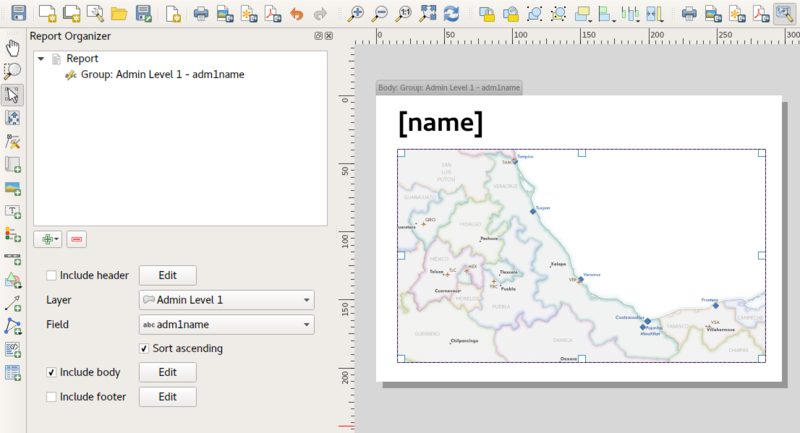 Full details on what we have planned are available here: QGIS Layout and Reporting Engine Campaign. To make it possible we need 30,000€ pledged before 31 May 2017. You can help make this a reality by supporting the campaign or by sharing the campaign page and increasing exposure to the campaign. Updates to follow! 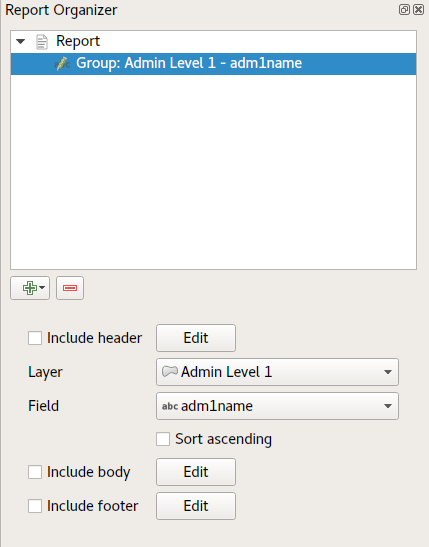 Open the Composer manager and configure it to use a specific template. 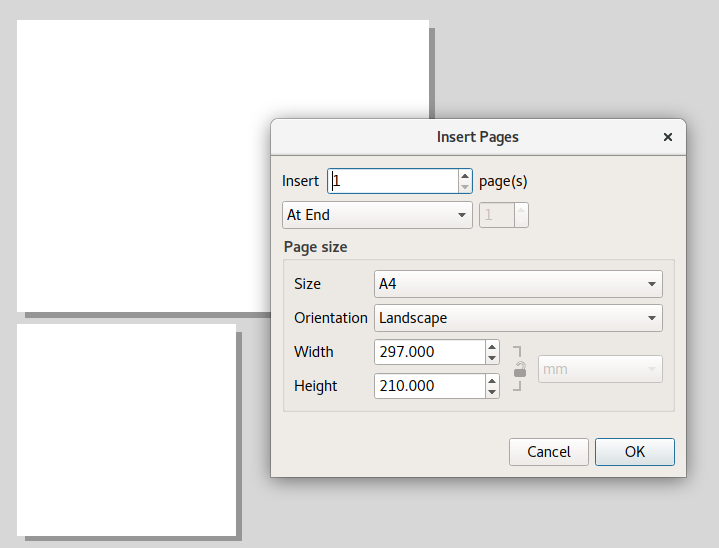 Then you can select the .qpt template file and press the Add button to create a new composition based on the template. If the template uses images, the paths to the images most likely need to be fixed since the .qpt file stores absolute file paths instead of relative ones. With these steps, you’re now ready to use the design for your own maps. Happy QGISing! Sure, you *could* also manually enter all these details directly into the label for the same result. But what happens when you have multiple composers in your project, and need to update the version number in all of them? Or you move your project to a new folder and need to make sure the path is updated accordingly? 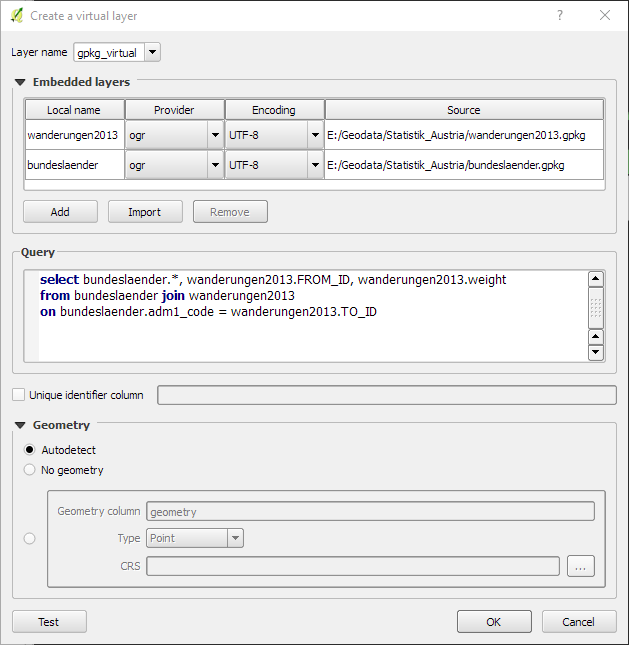 Manually updating multiple composers is a pain – make QGIS do the work for you and instead use variables! 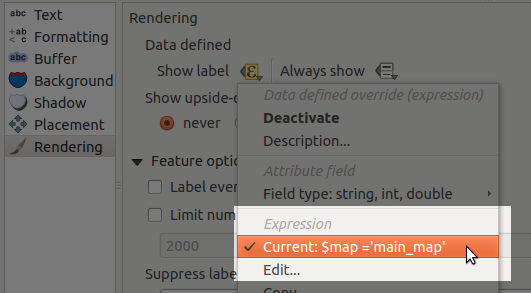 This would especially be helpful if you’re saving map composer templates for use across multiple projects or users. 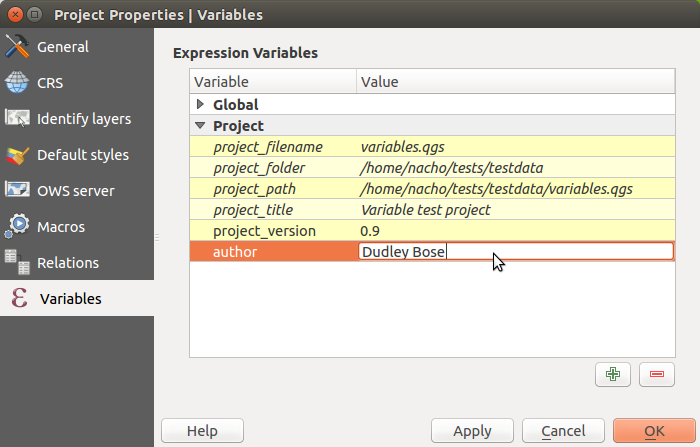 Using variables will ensure that the template is automatically updated with the right details for the current project. 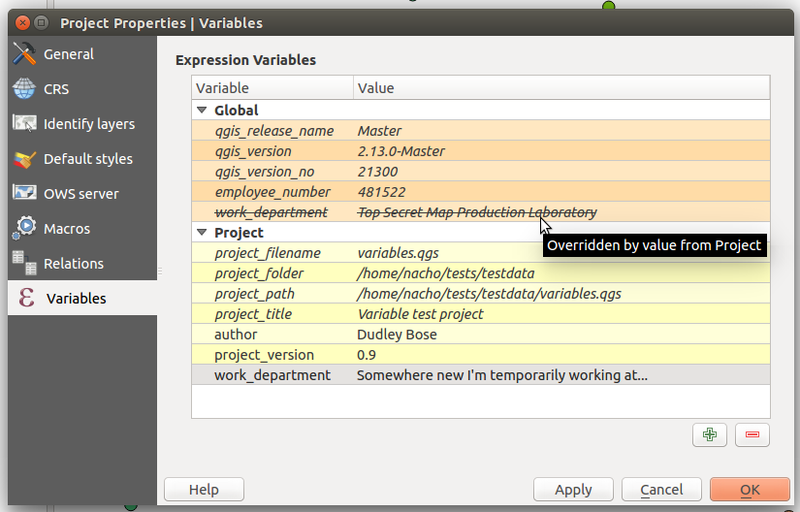 Another neat thing about QGIS variables is that they can be inherited and overridden, just like CSS rules. 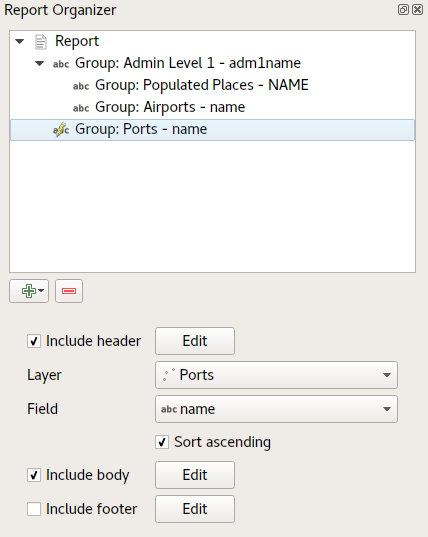 Opening the options dialog will also show a Variables group for setting “Global” variables. 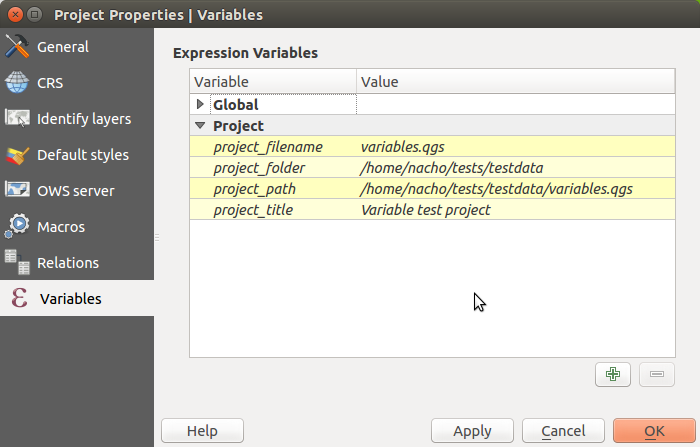 These variables are always available for your QGIS installation, regardless of what project you’re working on at the time. If your workplace tends to reorganise a lot and constantly shuffle your department around, you could add a global variable for @work_department, so that changing the global variable value in one place will automatically filter through to any existing and future projects you have. 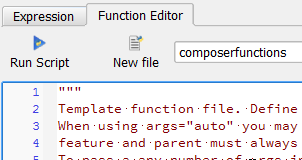 There’s also a variable editor within each individual composer’s properties tab, so variables can also be set and overridden on a composer-by-composer basis within a project. It’s a really flexible and powerful approach which both simplifies workflows and also opens up lots of new possibilities. As always, the new QGIS version (QGIS 2.6 Brigthon) brings a vast new set of features that will allow the user to do more, better and faster than with the earlier version. One of this features is the ability to control some of the composer’s items properties with data (for instance, size and position). Something that will allow lots of new interesting usages. In the next posts, I propose to show how to create map series with multiple formats. 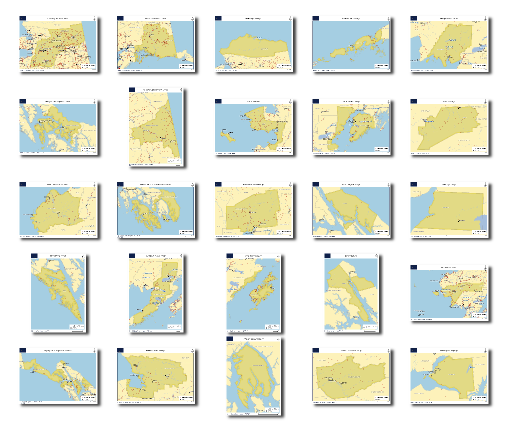 In this first post, the goal is that, keeping the page size, the map is created with the most suitable orientation (landscape or portrait) to fit the atlas feature. 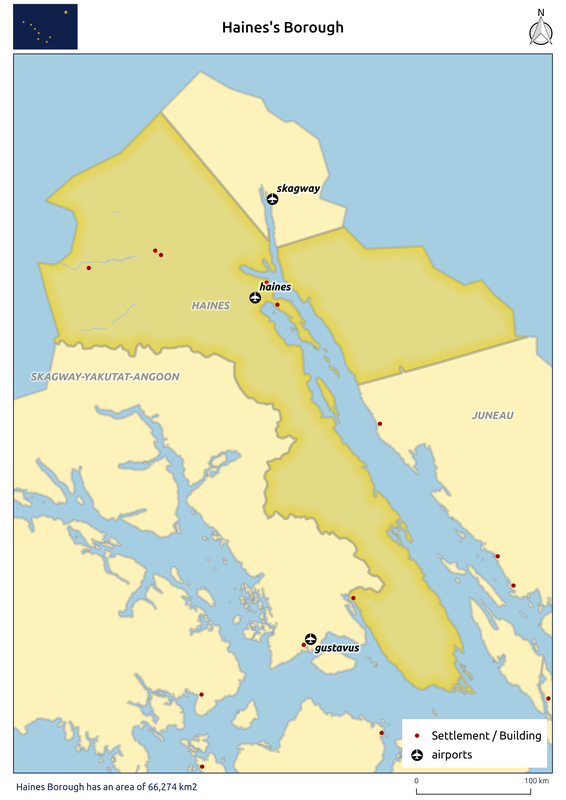 To exemplify, I will be using the Alaska’s sample dataset to create a map for each of Alaska’s regions. 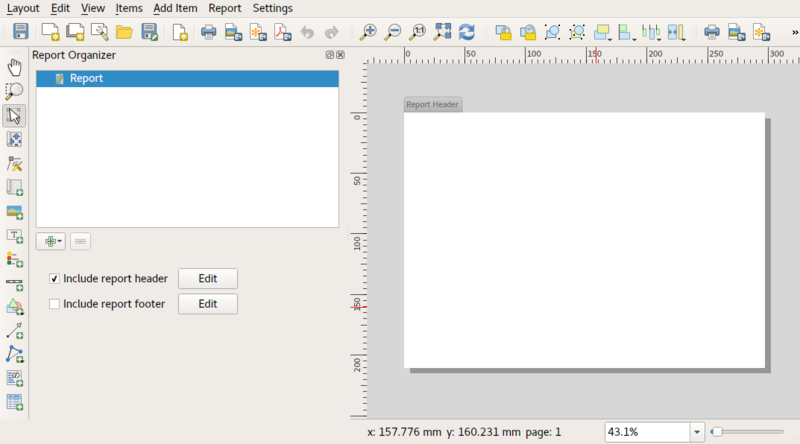 I have started by creating the layout in one of the formats, putting the items in the desired positions. To control both size and position of the composition’s items I had in consideration the A4 page size (297 x 210 mm), the map margins ( 20 mm, 5 mm, 10 mm, 5 mm) and the item’s reference points. For the remaining items (North arrow, scalebar, and bottom left text), the expression were similar to the ones already mentioned, and, after setting them for each item, I got a layout that would adapt to both page orientation. From that point, printing/exporting all (25) maps was one click away. 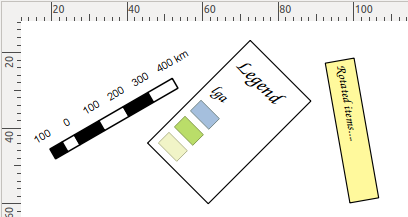 In the next post of the series, I will try to explain how to create map series where it’s the size of the page that change to keep the scale’s value of the scale constant. 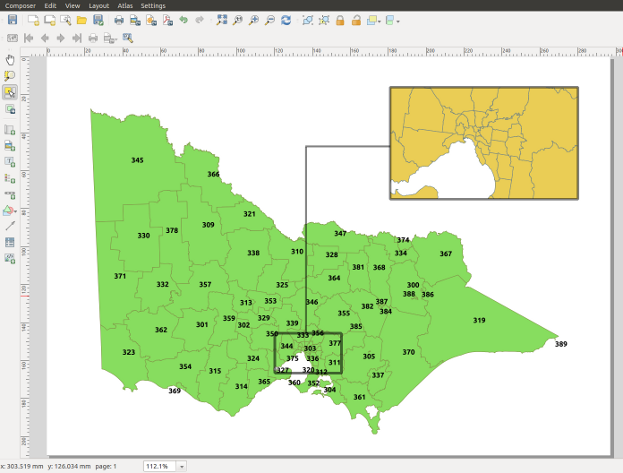 In recent releases QGIS’ map composer has undergone some large usability improvements, such as the ability to select and interact with multiple items, and much improved navigation of compositions. 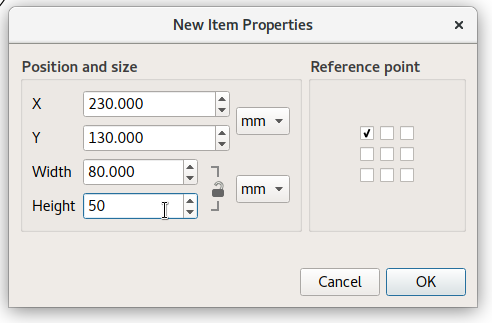 Another massive usability improvement which is included in QGIS 2.6 is the new “Items” panel in the map composer. The panel shows a list of all items currently in the composition, and allows you to individually select, show or hide items, toggle their lock status, and rearrange them via drag and drop. You can also double click the item’s description to modify its ID, which makes managing items in the composition much easier. This change has been on my wish list for a long time. The best bit is that implementing the panel has allowed me to fix some of the composer’s other biggest usability issues. For instance, now locked items are no longer selectable in the main composer view. 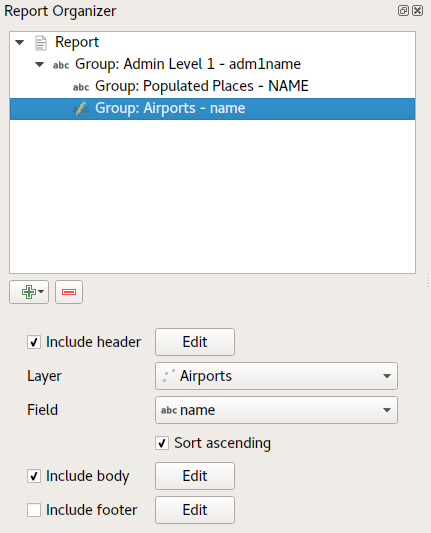 If you’ve ever tried to create fancy compositions with items which are stacked on top of other items, you’ll know that trying to interact with the lower items has been almost impossible in previous QGIS versions. Now, if you lock the higher stacked items you’ll be able to fully interact with all underlying items without the higher items getting in the way. Alternatively you could just temporarily hide them while you work with the lower items. 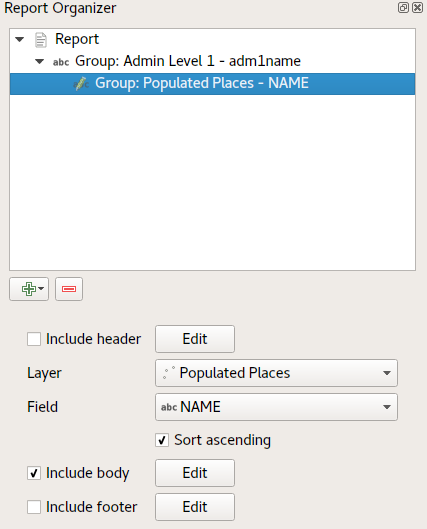 This feature brings us one more step closer to making QGIS’ map composer a powerful DTP tool in itself. If you’d like to help support further improvements like this in QGIS, please consider sponsoring my development work, or you can contact me directly for a quote on specific development. 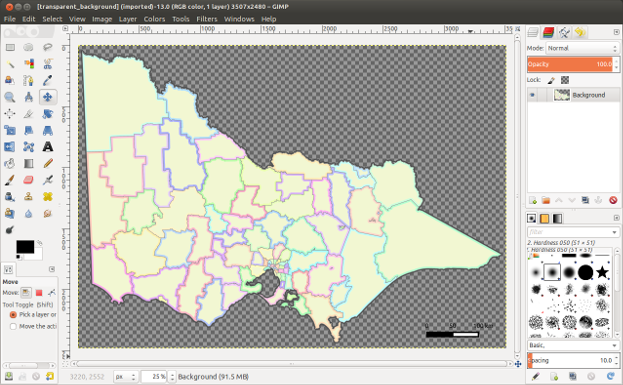 It’s no secret that QGIS has pretty impressive capabilities when it comes to cartographic styling of polygon features. 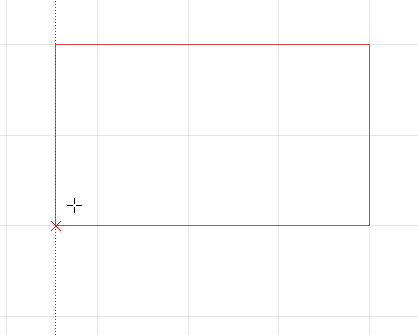 Everything from line and point pattern fills, SVG image fills, gradients and even buffered gradients (new in 2.4 — more on that in a later post) can be used to shade polygons. That’s all in addition to the whole range of line styles which can be used to outline the edges of polygons. 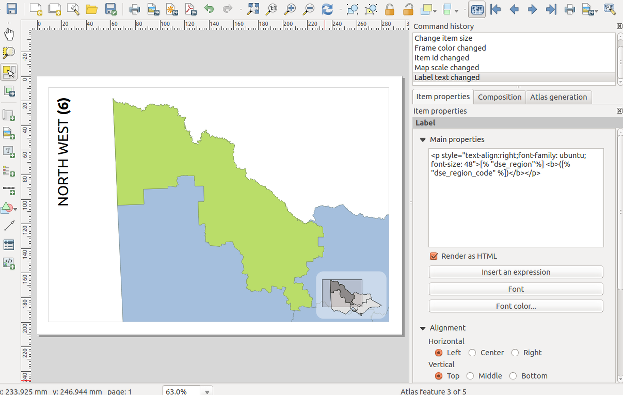 In QGIS 2.2 all these fill effects are now available for styling shapes in the print composer. What exactly does this mean? …or a line pattern fill…. It’s totally up to you how far you take this! 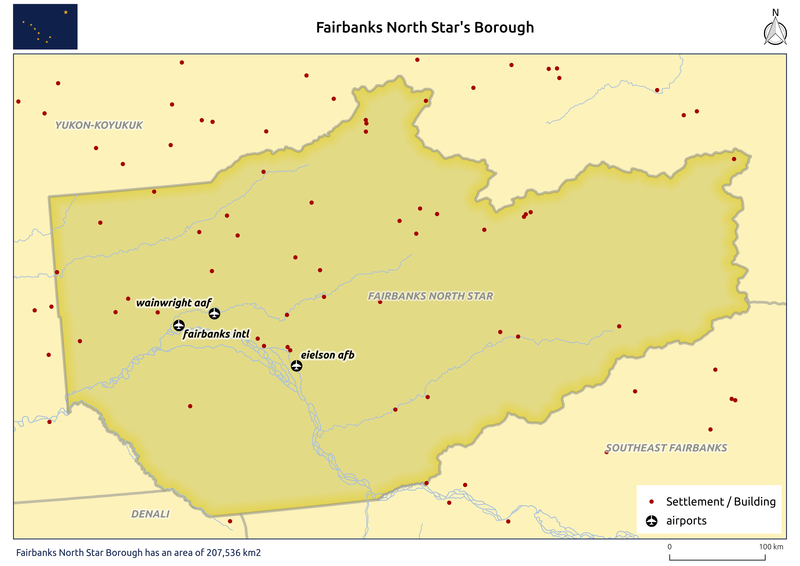 Here’s a nice example of a map created in QGIS 2.2’s print composer using these new styling options. Why is this cool? 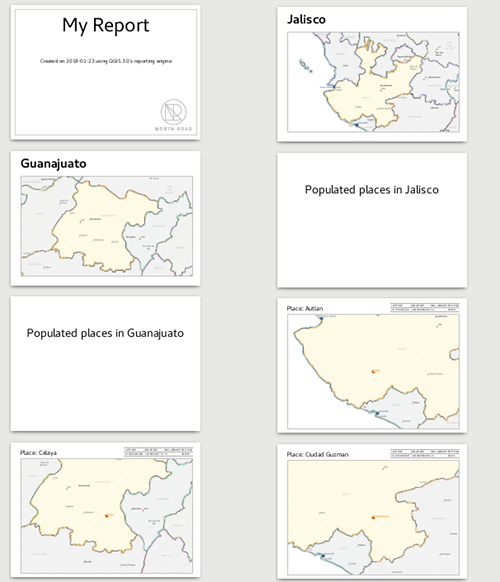 Well, for a start, if we take a quick look at the QGIS map showcase on Flickr very few of the maps shown there have a white background. 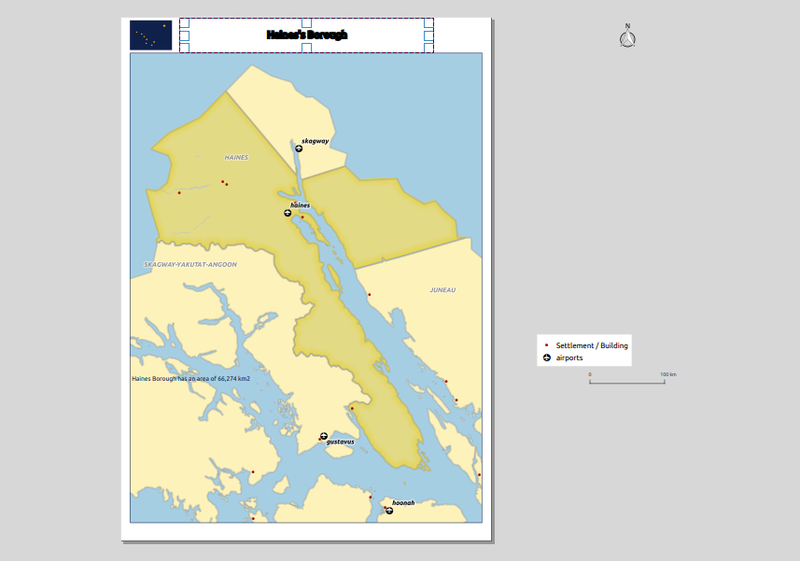 In previous versions of QGIS achieving a non-white background would require drawing a giant coloured rectangle over your whole composition, banishing it to the back of the stack, and then continually being annoyed by it getting in the way while you tried to work on the rest of the composition. 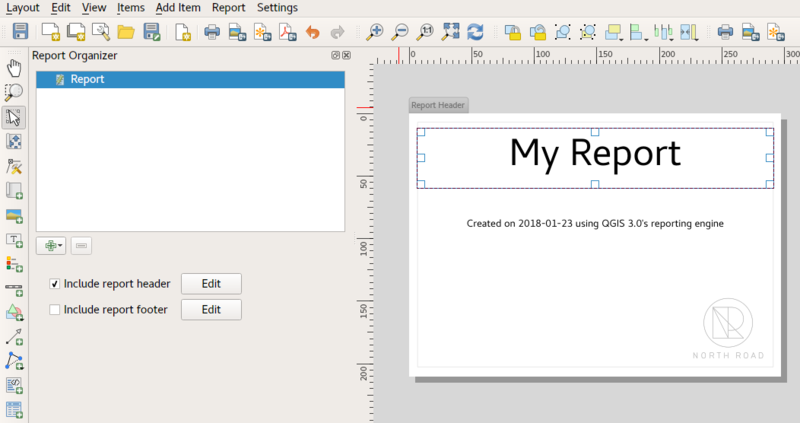 Now, just like the shape styling described above, you can style the page background using any of the available options in QGIS for polygon fills! Using a transparent composition background like this also allows for transparency effects in map layers to show through – so, for instance, if your map layer is set to 50% transparent then the resultant export from the composer will also be 50% transparent. Have I mentioned yet that you can also use data defined symbology for both shape and page styling? No? Well, this was actually my main motivator in adding styling support to these elements. For a long time I’ve been wanting to create atlases which vary the page background based on attributes in the atlas coverage layer. Think flip-book style maps, where the page border is colour-coded to highlight areas that need attention. For example, areas with high rates showing with red borders, average rates with yellow, and low rates with green borders. 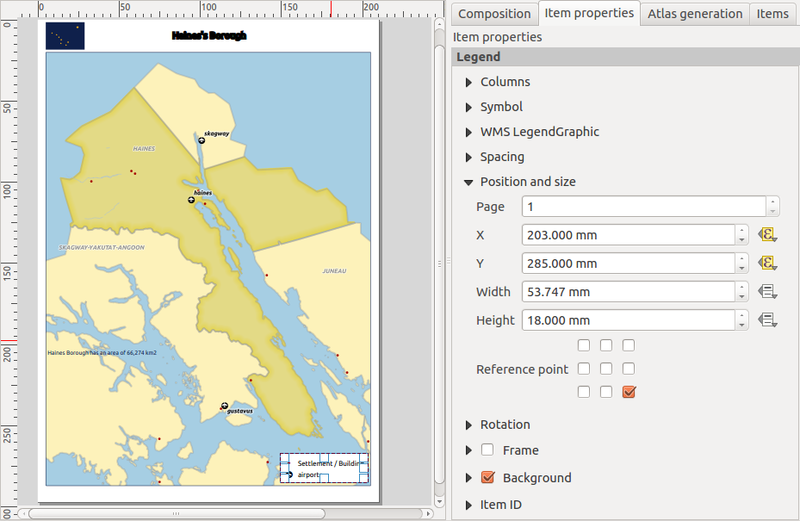 Using a combination of page and shape styling, data defined symbology, and QGIS’ atlas features, this is now possible! 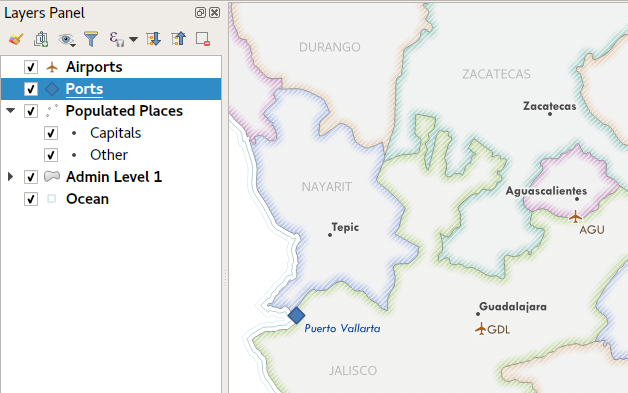 QGIS 2.2 includes some great additions to the map composer’s “Atlas” feature. 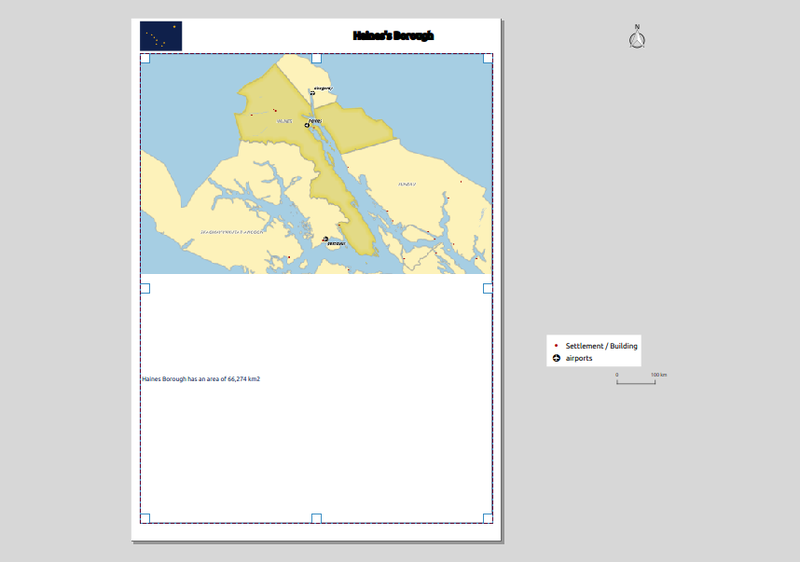 If you’re not familiar with atlas prints they are QGIS’ equivalent of ArcGIS’s “data driven pages”, or something like a map based version of Microsoft Word’s “mail merge”. 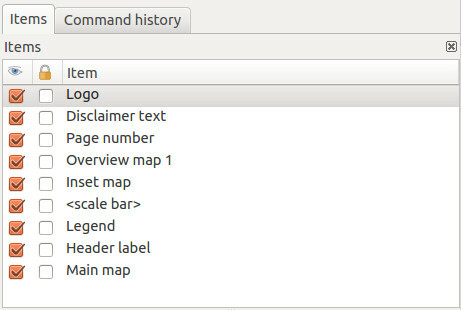 In an atlas composition you can select one of your map layers to use as a “coverage layer“, and QGIS will automatically generate multiple pages from the composition with each page highlighting a different feature from this coverage layer. The composer window will switch to showing you a preview of exactly how the atlas will look when exported. You can tweak the appearance of any layout item, adjust the atlas and map parameters, or experiment with the new options for atlas feature styling to see instantly what the final export will look like. 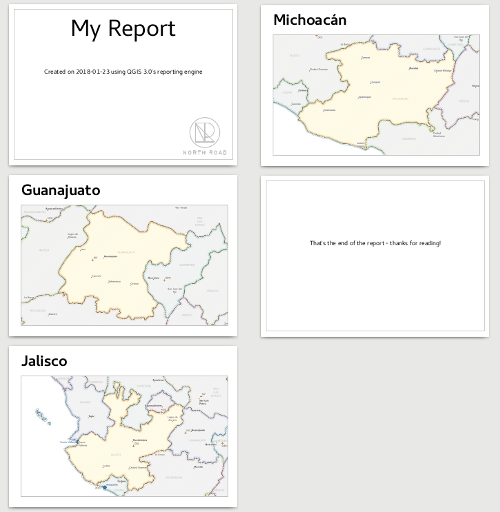 While previewing you can export individual pages from the atlas. So, if just one or two pages in your atlas need to be individually tweaked you can do that as you step through the features. A neat thing with this is that you can make temporary tweaks to the extent and scale of the map items as you go, without affecting how the rest of the atlas maps look. The second part of the work funded by SIGE was creation of shortcut actions for selecting the current atlas feature. If your atlas coverage layer has many records it may not be practical to step through the atlas previews one at a time until you find a specific feature. That’s where these new shortcut actions come in handy! The mouse cursor will change to a cross-hair, and clicking any matching feature in the map window will cause the composer atlas preview to jump straight to that feature. Lastly, you can also activate the “Set as atlas feature” action directly from the identify results window. 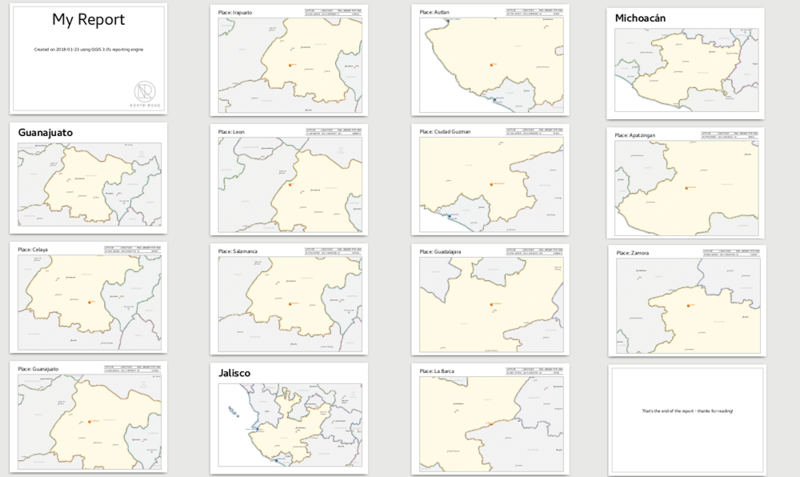 That’s just a small taste of some of the new atlas creation features which will be available in QGIS 2.2, coming your way by the end of February 2014! 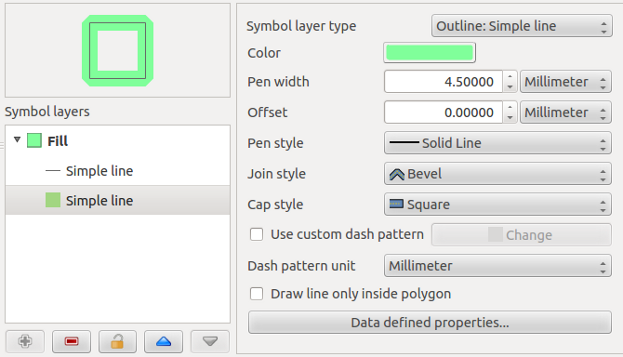 Here’s a quick run-down on two nice new styling options which I’ve recently added to QGIS 2.2. 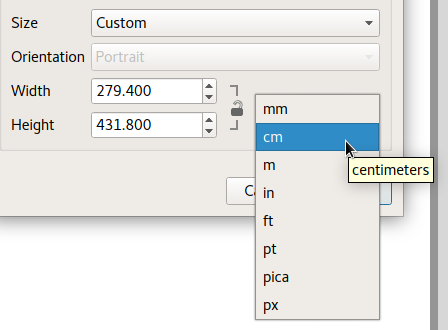 This little feature was suggested by Mathieu Pellerin, who is always pushing the boundaries of QGIS’ cartographic tools and coming up with great ideas for new styling features (you can check out some of his work via Flickr). 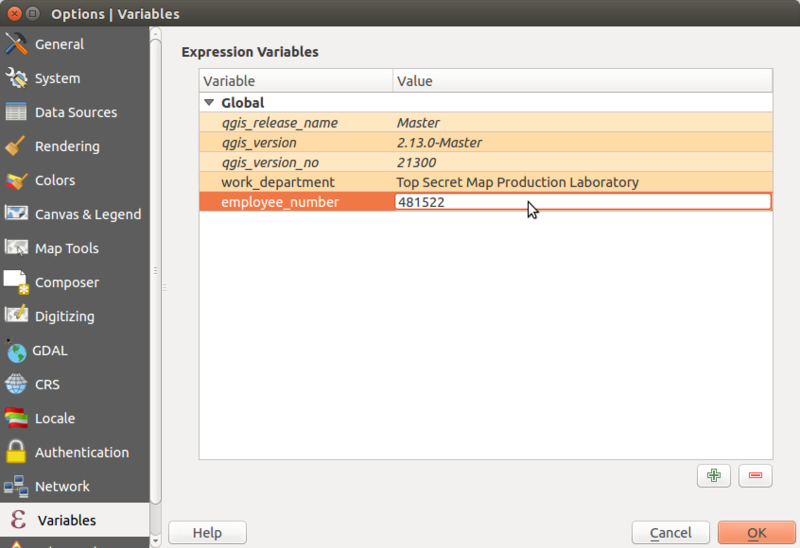 Mathieu’s idea was for a new ‘$map‘ variable for the expression builder. This variable holds the id of the map item which is drawing the map, and allows for some nice tweaking of maps in the composer. The end result is that the layer will be rendered using the two different styles depending on which composer map item it is being drawn into. This trick can also be used to tweak labelling rules between the maps. In the example above I’ve restricted the labelling to only show in the main map. 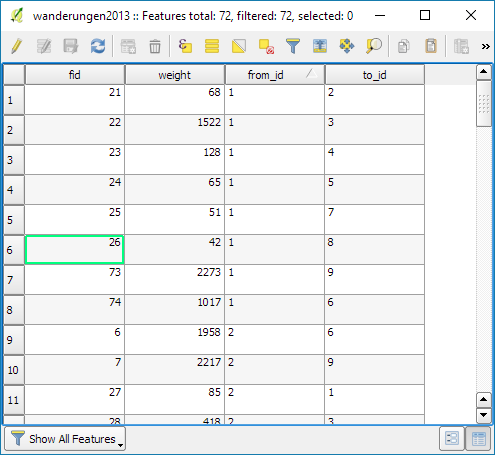 This is achieved by setting an expression for the data defined “Show label” property. 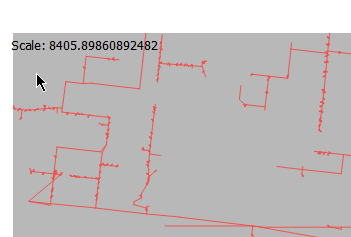 I’ve used the expression “$map=’main_map’” so that labels are only shown in the main map and not the smaller inset map. 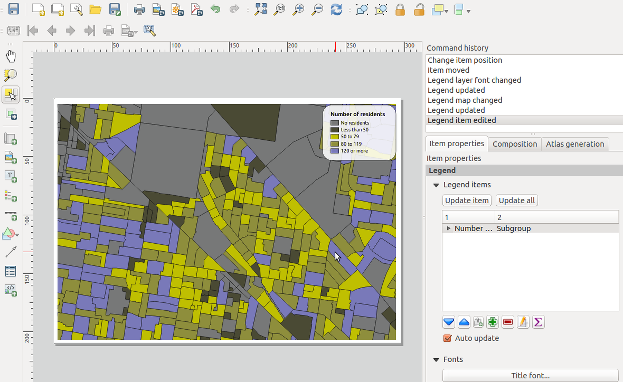 This small addition to QGIS 2.2 allows for some rather powerful improvements to multi-map compositions! The second new feature I wanted to highlight is a new option for polygon outlines which causes the outline to be drawn only on the inside of a polygon feature. The usual behaviour is for outlines to be drawn directly over the centre of the feature boundary, so that half of the outline is drawn inside the feature and half on the outside. This looks like a big muddy mess. A feature I’ve wanted for a long time is the ability to restrict these outlines so that they are only drawn inside the feature. 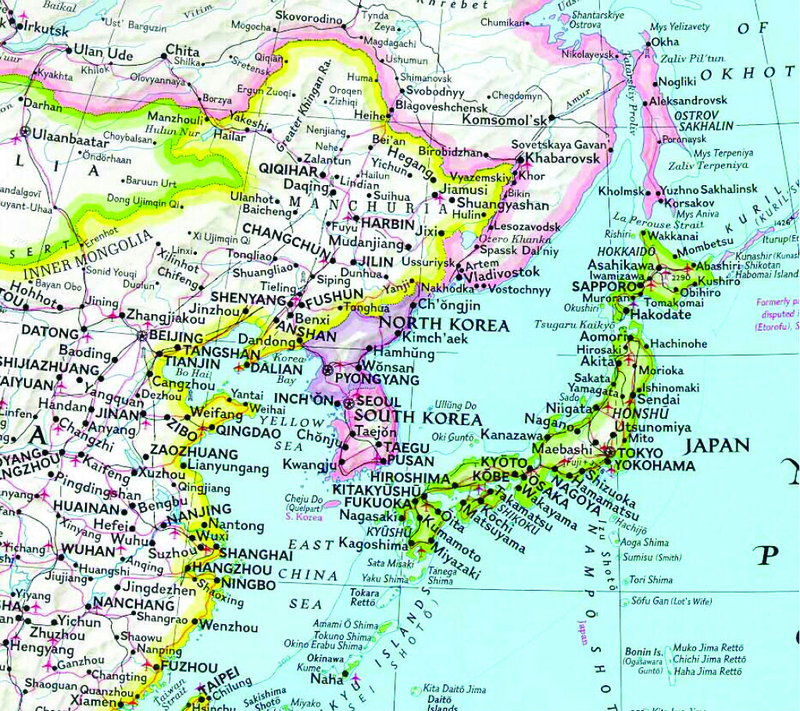 This effect is commonly seen in world atlases and National Geographic maps, where each neighbouring country is shaded with it’s own unique outline colour. 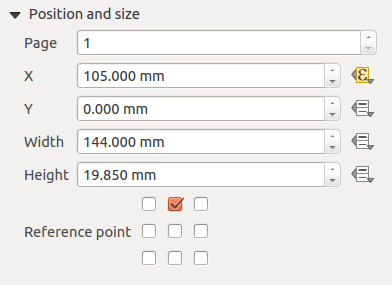 Now it’s possible to do this in QGIS just by ticking a single box! 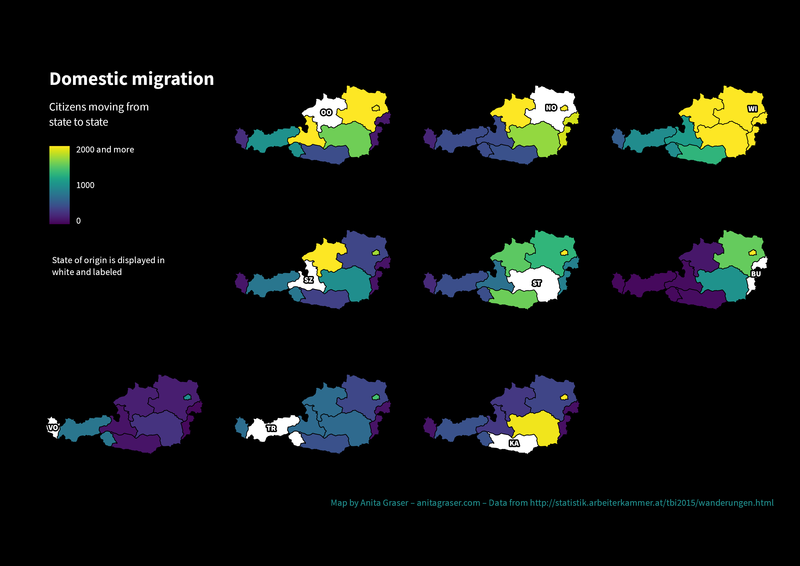 So much nicer then the earlier output – now none of the borders overlap into their neighbouring regions! Ok, so it is possible to achieve a similar result by creating a specially crafted layer consisting of negatively buffered polygons subtracted from the original polygons, but this takes a lot of fiddling around. It also has the major disadvantage in that the result is scale dependant, and zooming in or out of the map will alter the size of the polygon outlines. 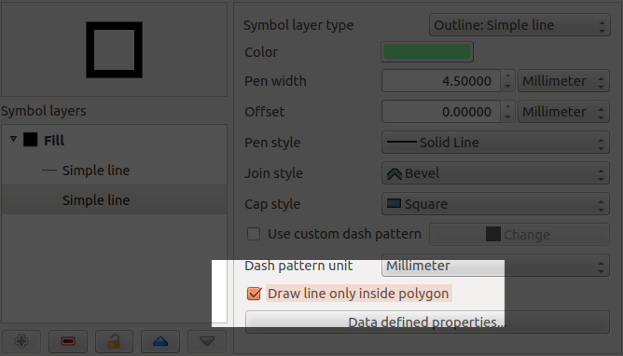 But using this wonderful new checkbox in QGIS, we get proper scale-independent borders, and zooming in or out of the map keeps a consistent border width! 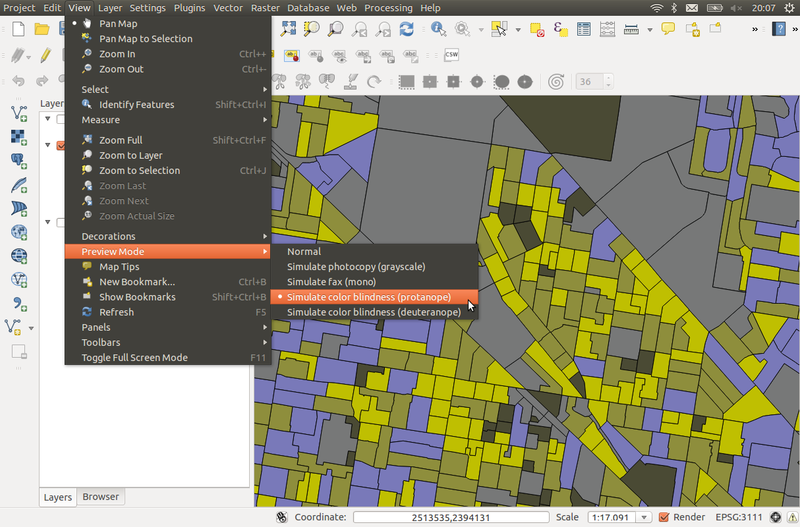 So there we go – two small new features added in QGIS 2.2 which have huge potential for your cartographic outputs! As per usual, if you come up with some fancy way of utilising these, don’t forget to add your maps to the QGIS Showcase on Flickr. Rotation support for all composer item types. 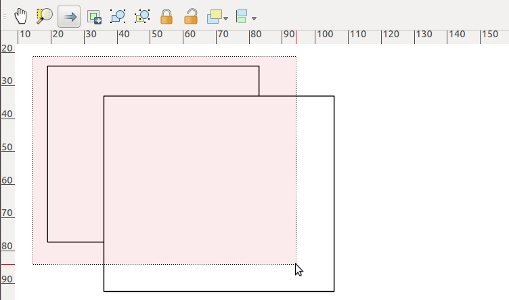 Now anything you draw in a composer can be rotated, including scale bars, legends, attribute tables and html frames! Rotation of text labels has also been improved by making the border and background of labels respect the rotation of the label. Resizing of rotated items has been improved. Now it’s possible to easily resize rotated items while keeping their correct shape. (There’s still one missing ingredient for complete support here – shear/perspective transforms. Unfortunately this will probably have to wait till 2.4). Lastly, the status bar has a new zoom combo box, which shows the current zoom level and allows for quick zoom to several predefined levels. You can also enter an exact zoom level in the box for precise control. Multiple items can now be selected by drawing a box around them. 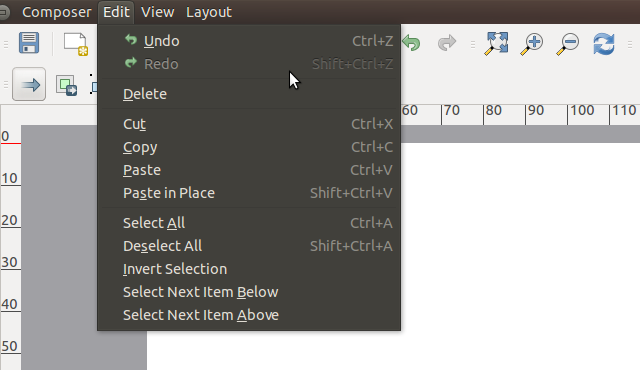 Holding Shift while drawing a box adds to the current selection, holding Ctrl will subtract from the current selection. In addition, holding Alt while drawing the selection box changes from an “intersects” style selection mode to a “within” selection mode. 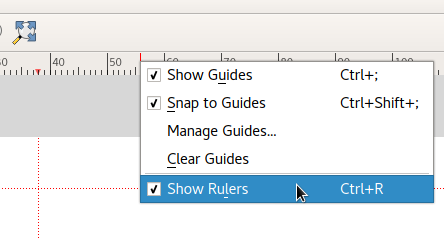 This was my major frustration with the composer in earlier versions of QGIS, and combined with the earlier fixes for multi-item drag and resize it substantially improves the design workflow. 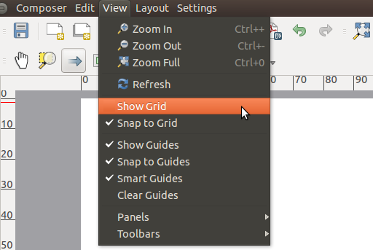 There’s new menu options for showing the grid and snapping to grid, and for showing/snapping/smart guides. All these have convenient keyboard shortcuts so you can quickly switch on or off display of the guides and grid or temporarily switch on or off snapping while you work. There’s also a new menu item for clearing all guides from a composition. A new mouse-based zoom tool has been added to the composer, which allows you to click and drag to specify an area to zoom to. You can also switch to this new tool at any time by holding Ctrl and space. 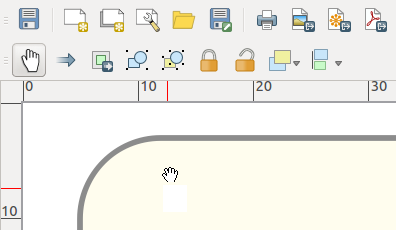 Holding Shift while using the zoom tool switches to zooming out. That’s it for now, but there’s loads more to come for 2.2! As I mentioned in my last post, one of my major goals for QGIS 2.2 is to make the print composer behave more like a professional DTP package. 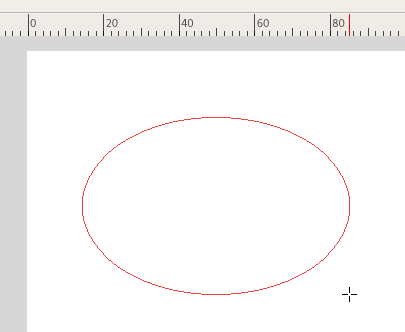 A big part of this is making sure QGIS respects all the expected standard behaviour for graphic design programs. While the print composer made huge advances toward this goal in version 2.0, there’s still further we can go. Some of these are simple little changes which don’t sound like much, but it’s not until you’re forced to work without something like shift-resizing to lock the aspect ratio that you realise how often you use it and rely on it!